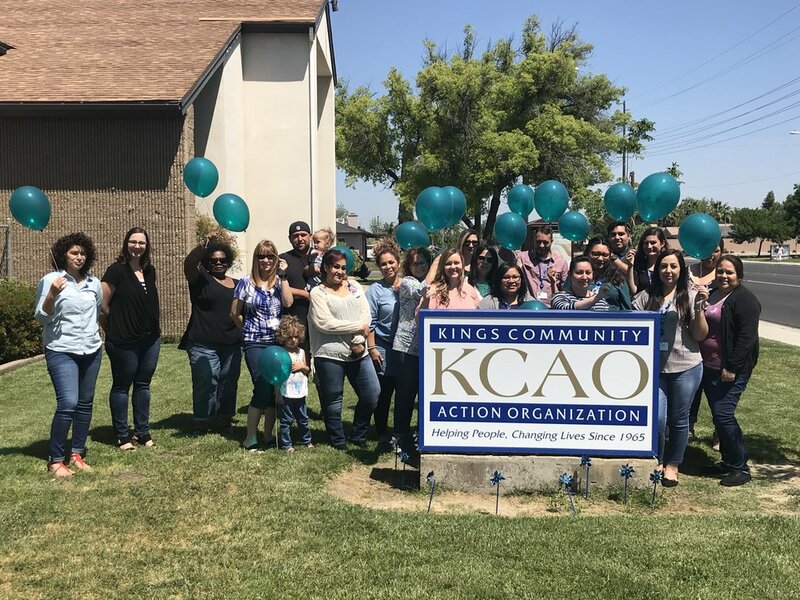 Kings Community Action Organization (KCAO) is the federally-designated anti-poverty agency for Kings County. KCAO is a private, non-profit organization that was established in 1965 pursuant to the Economic Opportunities Act of 1964. The organization has service sites located in Armona, Avenal, Corcoran, Hanford, Home Garden, Kettleman City, Lemoore, and Stratford. KCAO's mission: Working as a team, KCAO will seek and provide programs that develop self-sufficiency in individuals, families, and communities within Kings County. The agency reaches out to low-income people to address their multiple needs and administer a full range of coordinated programs designed to have a measurable impact on poverty. Of the clients served about 99% are low to moderate income. KCAO envisions a future whereKings County residents and communities will achieve self-sufficiency through the high-quality and client-focused programs of KCAO. partnerships with other community, state, and national organizations. Since its establishment in 1965, the agency has adapted, revised and added programs to serve the changing social, educational and economic needs of low-income members of the community.